Some people have a mind that just won’t quit. Their repetitive thoughts can be unwanted, intrusive, and complicated. Sound familiar? Perhaps that’s because Obsessive-Compulsive Disorder (OCD) is the fourth most common emotional disorder in the United States, affecting nearly five million Americans. 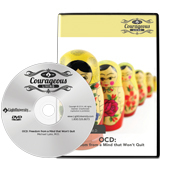 Recent advances in understanding OCD have opened the way to dramatically help those locked in this struggle deal with their racing and repetitive thoughts. 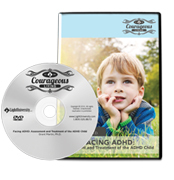 In this DVD, Christian psychiatrist, Dr. Michael Lyles, helps viewers understand this mysterious condition that leads a person to perform compulsive, repetitive behaviors. In his warm, practical, and inviting style, Dr. Lyles gives solid direction�medically, psychologically and spiritually�to help you or others cope with this condition.